The suspect was found dead at the scene, in the city of Thousand Oaks northwest of downtown Los Angeles. 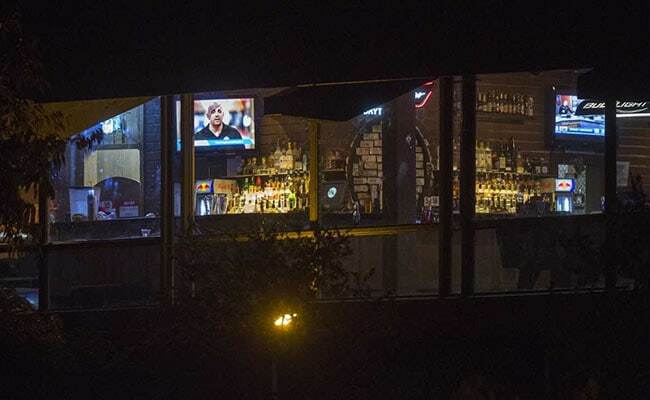 The gunman -- who apparently killed himself -- stepped into the Borderline Bar and Grill around 11:20 pm Wednesday and coolly began shooting, witnesses said, unleashing pandemonium as terrified patrons scrambled to escape. "He had perfect form," bar patron Teylor Whittler told Fox News. "He looked like he knew what he was doing, he had practiced." Ventura County Sheriff Geoff Dean told a news conference the suspect had been identified as Ian David Long, a veteran of the US Marine Corps. He was found dead at the bar in Thousand Oaks, California, an upscale city northwest of Los Angeles. Dean said authorities so far had no indication of a motive, or of any connection to terrorism. He said the victims were apparently targeted at random. "We believe he shot himself," said Dean, who earlier described it as a "horrific scene." Dean said Long was believed to have been armed with a single handgun when he launched Wednesday's attack. "It appears he walked up to the scene. He shot the security guard that was standing outside. He stepped inside," Dean said. "It appears that he turned to the right and shot several of the other security and employees there, and then began opening fire inside the nightclub." Among those killed in the assault was a three-decade veteran of the sheriff's department, 54-year-old Ron Helus, who was married and had a grown son. The other 11 victims have yet to be identified by the authorities. Besides the dead, around a dozen other people were injured. Matt Wennerstron, a 20-year-old college student who regularly attended events at the bar, said the shooter fired a short-barreled pistol that apparently had a 10-15 round magazine. "Then, when (he) started to reload, that's when we got people out of there and I didn't look back," Wennerstron said. He said he and others smashed their way out of the bar onto a balcony and then jumped down to safety. "One bar stool went straight through a window," he told reporters. Jasmin Alexander, who was part of a group of around 15 friends at the bar, said there was chaos and confusion inside when shots first rang out. "It was a normal Wednesday. We were just at the bar, having fun, dancing," she told reporters after escaping. "We thought it was a joke, we didn't take it seriously at first... because it sounded like firecrackers and everyone just dropped down to the floor."